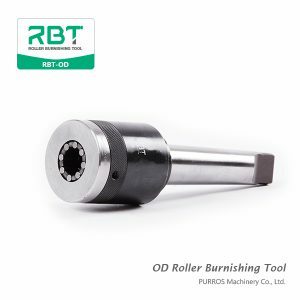 R Single OD Roller Burnishing Tools (with feed rate gauge and roller Can be freely adjusted angle from 0° to 90°) for radius and sphere surface polishing, which are Universal Roller Burnishing Tools that are non-intrinsic tools for smoothening and work hardening of external contours. Internal springs generate the required rolling force. 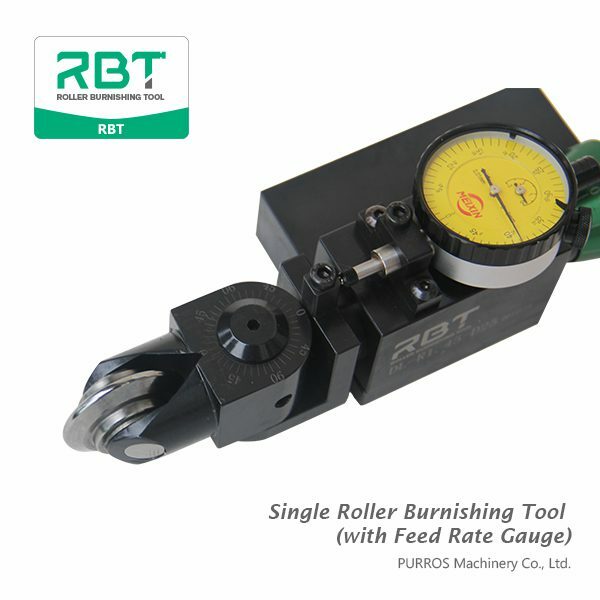 The value of the rolling force is defined by the preload of the tool. The spring characteristics can be adapted to the requirements of the workpiece. The shape of the rollers is designed according to workpiece requirements. square shank 12/16/20 mm, can be used as right or left – handed tool. 1. 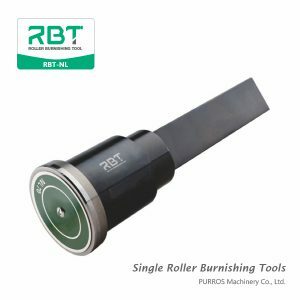 Suited for burnishing various metal workpieces, which workpiece hardness under HRC30. 2. 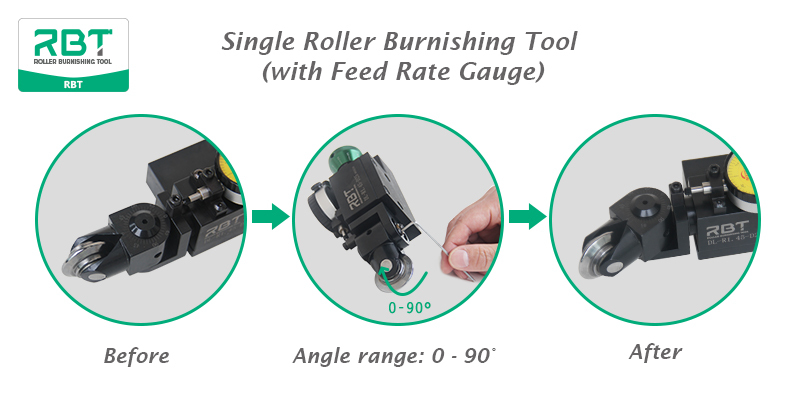 The roller angle can be adjusted within 90°freely according to workpiece shape. 3. 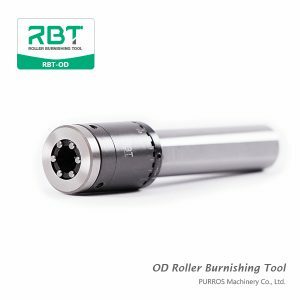 After roller burnishing, the surface roughness of workpiece can be achieved up to Ra 0.2 to 0.4μm, the hardness can be improved to HRC40, and the fatigue strength can be increased by more than 30%. 1. 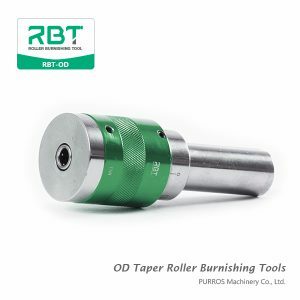 Installing the ‘Single OD Roller Burnishing Tool’ on the lathe tool holder so that can match the center of the roller with the center of the workpiece. 3. 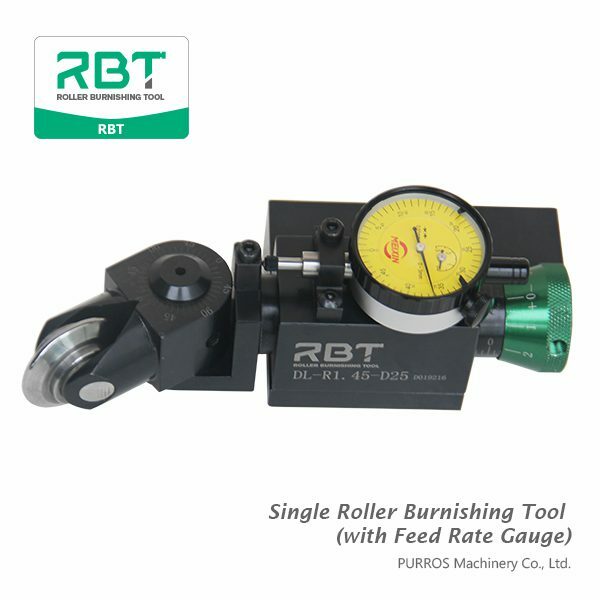 Rotational workpiece, manually make roller contact workpiece surface, and then radial feed (for end face, using axial feed method, if the tool with force gauge, please observe the change of the force gauge pointer), visual surface roughness, machining a axial feeding trial, visual or instrument to measure roughness value, according to the roughness value adjustment force intake, to achieve the best surface roughness. 4. Rotate the workpiece, trial processing from 1mm of front end of machined surface. 5. 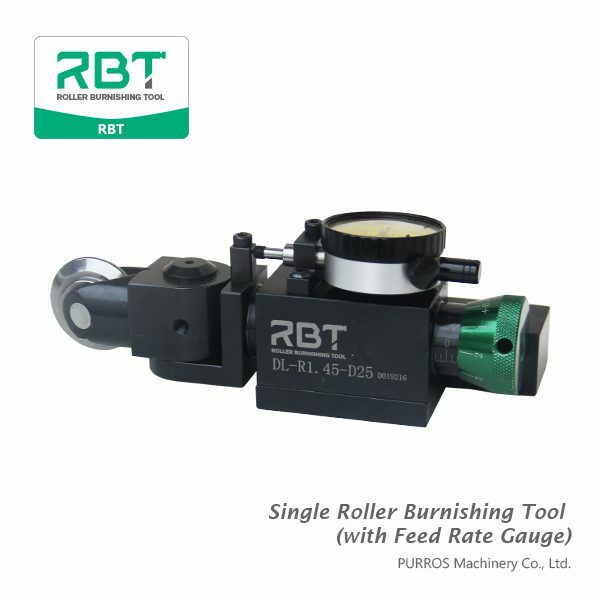 After reaching the finishing position, then stop feeding, and the roller leaves the workpiece, processing finished. 1. 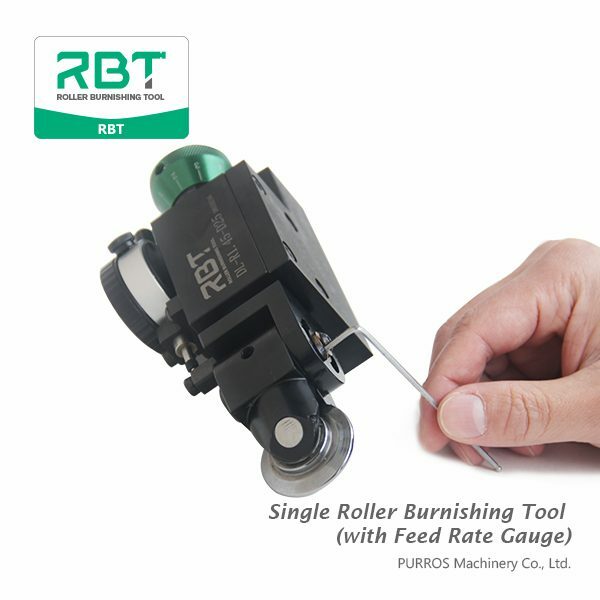 Check whether the uniformity of roller rotation is good before using. 2. The roller cannot be impacted by external force at any time. 3. The workpiece should be kept clean and the temperature should not exceed 50℃before burnishing, at the same time ensure the workpiece surface do not have contraction cavity, uneven area and hard point. 4. Before roller contact the workpiece, be sure to rotate the workpiece and use the cleaning liquid (cooling and lubricating) for machining. 5. The rotation of the workpiece cannot be stopped before the roller leaves the workpiece surface. 6. 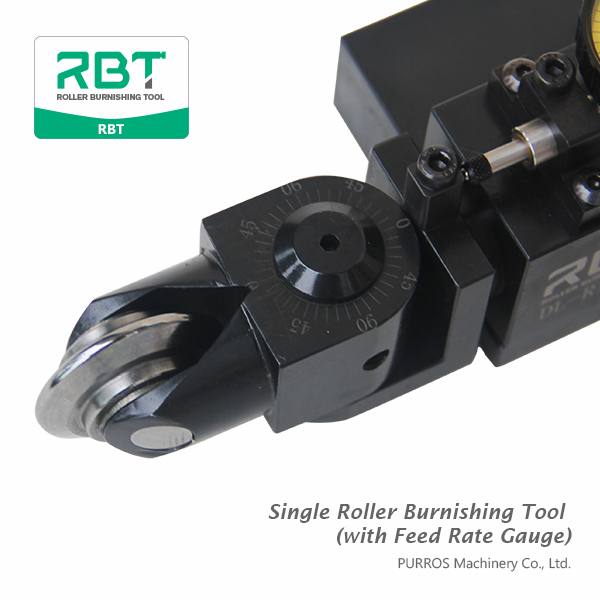 From cutting to burnishing, it is recommended to adopt the method of one-time clamping. Please note that this information represents standard values which must be adapted to the individual cases.